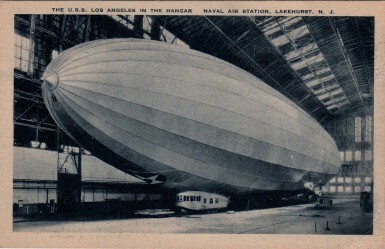 While the Los Angeles achieved its fame as an American naval vessel, the story of its construction is also the story of the rebirth of the German airship industry in the aftermath of World War I. Appalled by Germany’s use of airships to bomb civilians during the war, the Allies were determined to destroy the German airship industry. Under the leadership of Hugo Eckener, the Zeppelin Company convinced the Allies to allow them to build a large, intercontinental airship — the LZ-126 — to satisfy Germany’s requirement to make reparations for the loss of several German zeppelins which had been destroyed by their own crews to prevent them from being handed over to the Allies. 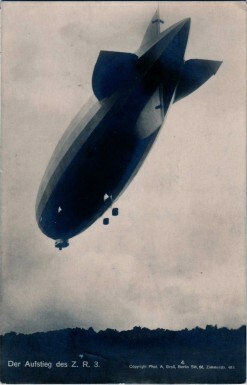 While the American’s were anxious to receive a new ship built by the experts at the Zeppelin Company (especially after the loss of the British R-38, which would have joined the United States Navy as the ZR-2), the British, who had been bombed by German zeppelins during the war, were opposed to the construction of a new zeppelin. Ultimately, a compromise was reached, under which the Zeppelin Company was allowed to build a new ship for the Ameicans on the condition that it be designed and used solely for civil, and not military, purposes. 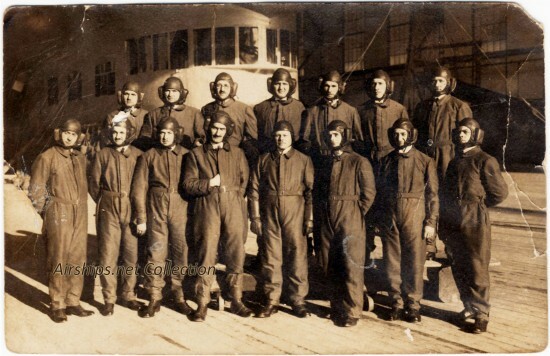 German Zeppelin Company crew of LZ-126 / ZR-3. October, 1924. 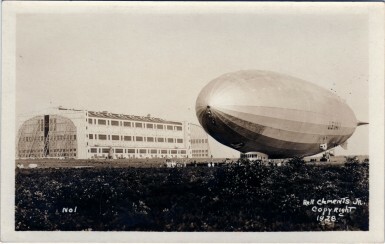 The construction of LZ-126 kept the German airship industry alive, maintaining not only the Zeppelin Company’s plant and equipment, but also its workforce of its highly skilled employees. 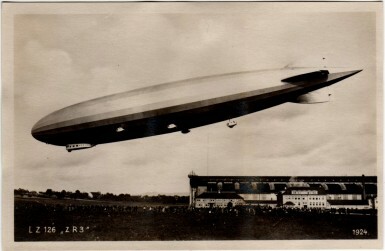 The construction and operation of the world’s first truly intercontinental airship also provided Eckener and his colleagues with the knowledge that would enable them to build and fly future passenger zeppelins. On October 12, 1924, under the command of Dr. Eckener, LZ-126 (already known by its American naval designation ZR-3) lifted off from Friedrichshafen, Germany to begin its flight across the Atlantic for delivery to the United States Navy. After a successful crossing of the Atlantic ocean, LZ-126 landed at the United States naval base at Lakehurst, New Jersey at 9:56 AM on the morning of October 15, 1924. The Atlantic would not be crossed nonstop by air again until Charles Lindbergh’s flight in the Spirit of St. Louis in May, 1927. The transatlantic was considered an aviation triumph, and Captain Eckener and his crew were given a parade up Broadway in New York City, and were greeted at the White House by U.S. President Calvin Coolidge. 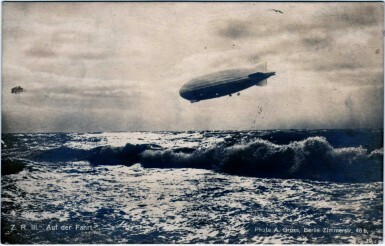 The first flight of the ZR-3 under American command had to await the return of USS Shenandoah, which was still on its cross country flight. 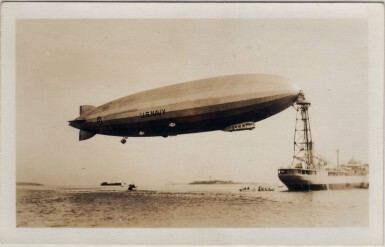 The United States did not have a sufficient supply of helium to inflate two large airships, and so the ZR-3 — which had arrived from Germany inflated with hydrogen — could not be flown until the helium in Shenandoah’s gas cells could be transfered to the new ship. The still un-named ZR-3 made its first American flight on November 25, 1924. The ship was flown to Naval Air Station Anacostia, near Washington, DC, where it was Los Angeles by the wife of President Calvin Coolidge and placed in commission as a vessel of the United States Navy. 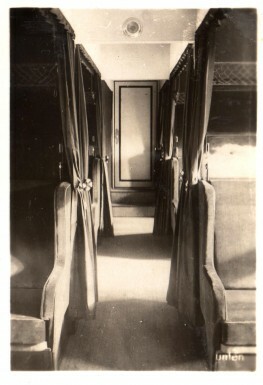 Since Los Angeles had been designed under an agreement limiting the ship to civilian use, it had been built with accommodations appropriate to a long-distance commercial airliner, including a large passenger cabin featuring sleeping compartments and a first-class galley for the preparation of hot meals. Consistent with its agreement to use the ship for civilian purposes, the Navy operated Los Angeles primarily as a training ship. Los Angeles frequently moored to a surface support ship, U.S.S. Patoka (a Navy oil tanker converted to act as an airship tender) for underway replenishment, and even landed on the deck of an aircraft carrier, U.S.S. Saratoga. The ship also conducted experiments with the launch and retrieval of fixed-wing aircraft from trapeze fitted to the bottom of its hull, a technology that would later be used on U.S.S Akron and U.S.S. Macon. Los Angeles made several impressive long distance flights, including trips around the United States and to the Panama Canal Zone and Cuba, and made frequent goodwill and publicity flights in addition to its training operations. 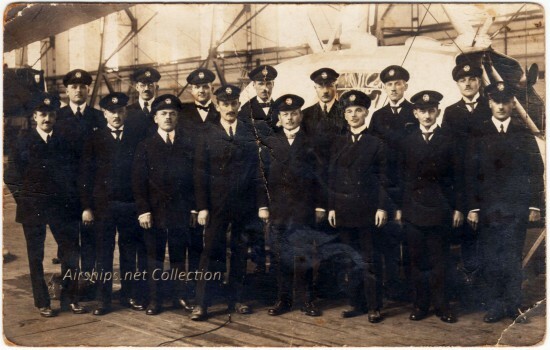 Standing (l to r): Chief Boatswain William A. Buckley; Lt. Jack C. Richardson, Navigator; Lt. James B. Carter, Watch Officer; Lt. J. Murray Thornton, Aerology and Watch Officer; Lt. J. Bruce Anderson, Aerology Officer; Ens. Emmett C. Thurman, Asst. Engineering Officer. Seated (l to r): Lt. T. G. W. Settle, Engineering Officer; LCDR. Herbert V. Wiley, Executive Officer; LCDR Charles E. Rosendahl, Commanding Officer; Lt. Roland G. Mayer, First Lieutenant; Lt. Charles E. Bauch. In 1932, with U.S.S. Akron already in service and U.S.S. Macon under construction, the Navy decommissioned Los Angeles. The ship never flew again, and in October, 1939, the ship was stricken from the Navy List and dismantled. As always, Dan, awesome overview of this great ship!!! I have a picture somewhere of Los Angeles flying over Yorktown, VA (where I live). 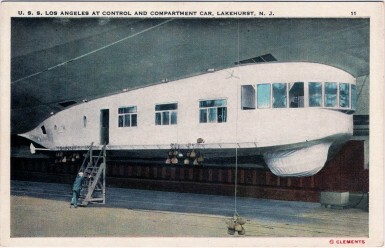 You can try the Navy Lakehurst historical society . It’s where the zr3 was delivered and also where the Hindenburg crash location. Thanks for your work on this great website; it’s all very interesting. Similarly to a previously-posted question, my mother recalls seeing an airship flying near Sault Ste Marie Michigan in the 30’s. Any idea of which ship(s) might have operated in that area? The U.S.S. 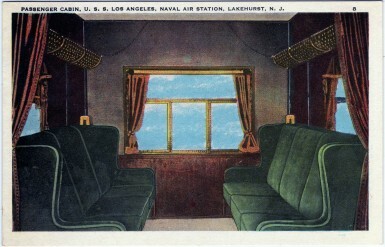 Los Angeles (ZR-3) was refurbished after the crash of the Akron and Macon and returned to service between 1935 and 1940. She was scrapped in 1940. Anyone know the maximum ceiling of the USS Los Angeles? I’ve checked here, Wikipedia, and Althoff’s book and can’t find any information. I’m assuming it was no where near the WW I “height climbers” and probably more along the lines of the Graf Zeppelin.